Michelle and I met a few years ago when Phoenix Woman magazine did an article on women and finances. She never cringed when she learned of my challenges and I learned a lot from her. I’m proud to have her as a client and believe she stands out from the other CFPs by really honing in on a client’s emotions and needs behind their money and savings. PHOENIX, AZ – Michelle Evard, CFP and founder of Evard Financial Advisors, PLLC is on a mission to change the perceptions of financial planning and the way people feel about their money. She believes that people can meet their finances with excitement and fun rather than dread and fear. Education and advice are needed, not products to build wealth in a slow economy. Her plan is to find solutions by honing in on a client’s wants, needs and emotions about money. Evard understands that gender and background also play a role in how a client views finances. Because everyone has different lifestyles and financial responsibilities, Michelle refuses to use the “one-size-fits-all” approach. She uses her financial expertise to walk clients through the process, providing options that meet their unique needs. 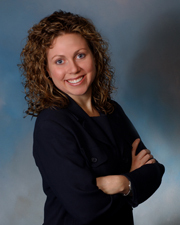 Michelle also gives in depth explanations and takes time to carefully respond to her client’s questions and concerns. Evard Financial Advisors, PLLC create flexibility by offering three financial investment programs. Each program is customized to meet an individual’s needs and is based on the complexity of each situation. The Fee for Plan program is designed for clients who wish to handle their own investments, but would like the guidance of a financial plan to assist them in making decisions. The Asset Management program is for clients who would like Evard Financial Advisors, PLLC to manage their accounts and investments. A client also has the option of paying an hourly rate for advice. Fees are competitive and negotiable and the initial consultation is free. Evard Financial Advisors, PLLC offers a comprehensive range of services to meet client needs. They provide individuals, families and corporate clients with the expertise needed when making financial decisions to assist in managing finances. They offer professional advice for savings & investments, retirement plans, insurance coverage, tax, social security, educational planning and estate organization and 401(k) consulting. Visit http://www.mefinancial.net or call 480. 203. 3880 for more information. This entry was posted in blog and tagged certified financial planner, CFP, Finance, Investing, MICHELLE EVARD, money, phoenix, saving. Bookmark the permalink. 3 Responses to "CHANGING THE PERCEPTION OF FINANCIAL PLANNING"